Omar pulled the trigger and we released DasBlog 1.9.6264. Why 6264 you ask? Because it's 2006 and the 264th day, that's why. Download it. Here's some of the new features. Note the large section in your web.config and the mobile theme that is required for this support. I encourage you to check out FeedBurner. You can add FeedFlare to your posts, and modify your feed in ways DasBlog can't. They also handle your Feed bandwidth and provide rich statistics. It's free ($ for advanced stats) and it's very powerful. Do be aware that when you make the decision to move over to FeedBurner your existing feeds will start redirecting folks to FeedBurner immediately. That's part of the power of the whole thing, but be warned. 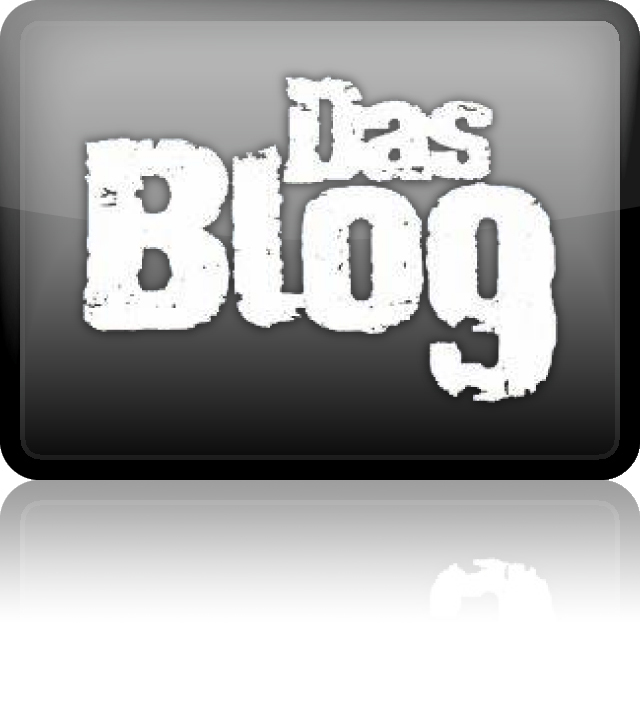 Check the DasBlog theme or add this line to the top of your itemtemplate.blogtemplate. Other fixes and suggestions from Tomas Restrepo, Jason Follas, Rene Lebherz and Steven Rockarts. Added entry CPU usage optimizatons from George V. Reilly. Ajax Autosave Drafts support from Steven Rockarts and Justice Gray. Better strings and support for German from Alexander Groß, Portuguese from Adelino Araújo, and Vietnamese from Phạm Đức Hải. Single-handed support of DasBlog.info and DasBlog.us to the enthusiastic and tireless Tom Watts! Welcome to new team members Alexander Groß, Paul Van Brenck, and John Forsythe who really did a lot of work to make this release possible! Thanks to Jacob Proffitt for doing some crazy debugging of caching on FireFox that will be in a point release soon. Thanks again to all who jumped in this release. The number of bug fixes and patches was fantastic. If you are starting from scratch, READ THE README. If you are upgrading, always back up your whole site. You have a number of choices on how to upgrade but mostly it's just merge the web.config and copy over everything else. Read the readme.rtf. If you have made changes to your web.config, manually merge your existing web.config with the one we ship, using a tool like Beyond Compare. If you are running DasBlog 1.8, you don't need to run the DasBlog Upgrader if you don't want to. It'll clean up spam and tighten up your content, but it's not required. If you've modified your themes or an included theme with DasBlog, back up your stuff so you can merge in new features as you like. DasBlog is written in ASP.NET 1.1 but runs under 1.1 or 2.0. Read the readme.rtf and the web.config for details. Here's how to submit a patch and get the source code. Daily builds (if you like living on the edge) are here. Some folks have said that DasBlog isn't actively developed because we are slow to release. Do join our mailing list, our checkin list and check out the daily builds. Join our developers mailing list (very active) here. Subversion Checkin mailing list is here. You can write custom macros...here's a writeup from Kris van der Mast on how, and a number of nice macros from Vasanth Dharmaraj including his tutorial. The best documentation for the Macros (so far) is the Macros.cs file itself. Nearly every public function in there is a potential macro you can use in your templates. If you wish a Macro existed, perhaps it already does. You can browse the code in the Subversion Repository without installing anything. Here's a link directly to the Macros.cs file. We're always looking for help editing the documentation and working on http://dasblog.info/. We also appreciate folks who answer questions in the forums at http://dasblog.us/. Great work guys - really enjoying using dasBlog. Is there any information available on how to enable FCKEditor instead of FTB? I see it's a feature of the new release and have the new release installed on my blog but can't find any way of enabling FCKEditor - I only get the choice of a plain text box of FTB. Martin - See the FCKEditor deployment details here: http://svn.sourceforge.net/viewvc/dasblogce/trunk/source/newtelligence.DasBlog.Contrib.FCKeditor/Deploy.txt?view=markup. Because of the licensing we had to split it up. Will DasBlog (this version / anytime in future) support Medium Trust Level for the guys who have to run on a shared hosting environment? "In the long term, ThinkJot will move away from the original dasBlog source code, with the goal of simpicity in use, minimal complexity in source code and quick feature enhancements and additions"
Anything for guys who want to enjoy the DasBlog feature-set but still run on a Medium Trust Level environment? Rajiv - Not sure about ThinkJot guy. He basically just picked a day in 2005 and copy/pasted DasBlog and made a few changes to get it to build in 2005. With Web Application Projects thats pretty easy. He hasn't packaged up the changes and given them back to us, although I could probably diff his stuff. He says it runs under Medium Trust. If you (or any volunteer) would like to help get official DasBlog to run under Medium Trust, let's do it. Join up and email me. Hi Scott, <br />Been waiting ages for this. Nice one Scott. One thing I would add here is that dasblog assumes by default that the anonymous account IIS is using to access the dasblog virtual folder is IUSR_machinename rather than any custom account you may have created for security reasons. That caught me out for a few minutes - after following the readme for a clean install, IE kept telling me I wasn't connected to the internet. The solution - obviously - is to change the anonymous account for the vdir back to IUSR_machinename. Any guidelines for using a different account though? Simply adding modify permissions to content, logs and SiteConfig doesn't seem to do the trick. Actually I'm using ThinkJot for my blog engine because of the fact that it is ported to the 2.0 version of the framework. Any idea on when would dasBlog support ASP.NET 2.0 by default? Michal, dasBlog works fine under 2.0. Excellent work to everyone involved. Scott, I don't know if there's a place but maybe you can post about it. What features are you guys thinking about/looking for that would inspire people to create patches? It's all grand that we come up with things we think are cool, but what is it that you guys are looking for but don't have time/effort to do it yourselfs that the community could help out with? What is the url of the sitemap page ?? also, a note on gravatars. You can use an http:// full URL as well as a local /theme/images/* or /images/* path for no-gravatar image path. Michal Talaga - DasBlog has worked fine running on .NET 2.0 for over a year. ThinkJot guy just took the source and compiled it, and fixed the warnings. Compiling on 1.1 and running on 2.0 versus compiling on 2.0 and running on 2.0 leaves us at the same endpoint. If you diff the code it's a few dozen lines different and it was to stop compiler warnings and one Trust issue. I must admit, I don't understand why he forked our codebase. It sends a mixed message. We offered to have him make his changes in the main base. Danm - DasBlog doesn't make any assumptions about IUSR_machinename or the anonymous account. I run DasBlog as a different anonymous user...as long as there is write permissions to those folders, you should be cool. What are you seeing? Can I just drop this into an existing install? Are there major and/or breaking changes in the configs? Yes Scott, couldn't agree more. I used ThinkJot to get my Blog running quickly in medium trust but the fact that it's not being able to cope up with the feature-set of DasBlog makes me a little paranoid and "not so sure" about my decission of using it. I was hoping the ThinkJot author was going to be merging his changes into DasBlog sooner or later; but it looks like I am out of luck. I'm going to be traveling starting tommorrow for a couple of weeks, with scanty email / internet access, but I would like to investigate, see and document what it would take to have DasBlog run in a Medium trust environment as soon as I get back home, end of first week of October. I’ve ended up buying Server space for my Blog in an environment that allows only Medium trust (bad mistake :)) - so (out of my own shelfish interest :)) I'll start spending some free time next month playing around with DasBlog code and seeing what it would take to make it run in Medium Trust Level and then start making changes. Will keep you posted. Installation was a piece of cake. Was the issue with uploading images resolved with LiveWriter. Of course the quick fix was simply to use FTP but I wanted to check and see before I broke something which was already working. Is there a problem with Captcha running on .NET 2.0 versions? 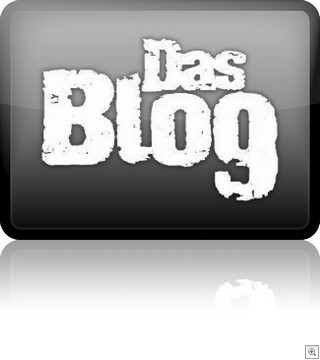 I'm not using dasblog for my own blog at the moment because my phone does mobile blogging through blogger.com. But I still have my friend's blog running on my server using 64 bit .net 2.0 and if I turn Captcha on it stops working after a while.